Posted on April 16, 2015 by amanabduhu	in Awami League, Featured Articles, fiction, Politics, Rights, Society and tagged Awami League, education, Featured, Slider. Posted on April 17, 2014 by patriotofbd	in Politics and tagged Featured, Slide, Slider. মারুফ কামাল সাহেব – আপনের কাজটা কি ? পদত্যাগ করেননা কেন? Posted on April 10, 2014 by patriotofbd	in BNP, Featured Articles and tagged Featured, Slide, Slider. এখন আসেন দেখি গত ১ বছরে বিএনপির সবচেয়ে বড় মিডিয়া ব্যর্থতা কোন গুলা ? অনেকগুলোর মধ্যে আমার মনে হয় এক নম্বর হচ্ছে বিএনপি যে একটা মুক্তিযোদ্ধাদের দল, এই দলটা যে একজন বীরসেনানী শহীদ রাষ্ট্রপতি জিয়াউর রহমান প্রতিষ্ঠা করেছিলেন, সে মেসেজটা পরিষ্কার ভাবে বাংলাদেশের তরুণ জনগনের কাছে দিতে বিএনপি ব্যর্থ হয়েছে। ২ নম্বর ব্যর্থতা হচ্ছে দলটি ক্রমাগত ‘মিডিয়া আক্রমন’ সয়ে গেছে। মিডিয়াতে প্রায় রক্ষনাত্মক ছিল দলটির পজিশন। মামলা-হামলা-গুম-অত্যাচার- রাষ্ট্রীয় সন্ত্রাস করলো আওয়ামিলিগ আর মিনমিন করে গেলো বিএনপি। কি তামাশা! গ্রামে-ঘাটে-গঞ্জে কুকুরের মত মারা হলো বিএনপির নেতা কর্মীদের, আর পত্রিকা/ টিভি গুলা “বিএনপি সন্ত্রাস করে বিএনপি সন্ত্রাস করে’ গেল. Posted on January 25, 2014 by patriotofbd	in Uncategorized and tagged English, Featured, Slide, Slider. Much sifting through tea leaves and midnight oil burning has been going on in Bangladesh and the diaspora over the recent European Union (EU) parliamentary resolution on the recent (s)elections in Bangladesh, from the apocalyptic visions of the disenfranchised, to gloating from supporters of the AL government. I have always argued with my fellow Bangladeshi nationalists, that we should not invest much hope in outside powers, and that real change will only come internally, from the Bangladeshi people themselves. For the European Union as well other international powers, economic and security interests as well as domestic political ideologies will trump the human rights violations and the democracy deficit of the current Awami League regime. This argument is reinforced by the resolution in the EU Parliament, and requires reference to remember historical experiences and discourses. The Bangladeshi public should be weary of anything which is done in their interests by an outside power, especially the European Union, as the saying goes, ‘beware of Greeks bearing gifts’. On the week following the 5th of January elections, I was contacted by a distraught human rights researcher. She was just on the phone with a teenage daughter of an English Literature teacher. Her father was involved in Islamic student politics. The family thought themselves immune from the current government crackdown on the political opposition. A few days after the election, the family’s world was torn asunder when their house was raided by the security forces. The teenage girl along with her father were dragged out of their houses, then for four hours the girl was forced to watch as the security forces took shifts in beating her father to a pulp. The researcher recounted her conversation the girl, who intermittently broke down into tears, could not understand the motivation or the roots of hatred the security forces had for her father, nor the impunity in which they were operating. Fast forwarding to Strasbourg just a few days later, and the European Union Parliament on Thursday 16th of January debated on the issue of the Bangladesh elections and the violence surrounding those elections. A moot mention of brutality by state security forces, but all the the blame on the violence seemed to be laid squarely at the feet of the opposition, especially its Islamist wing, Jamaat and more bizarrely the qawmi (community) madrassa students of Hefazote Islam who were victims of the 6th of May Massacre. Many fellow Bangladeshis were surprised by this parallel universe in which the European Union Parliament seemed to reside, of blaming the victims of state brutality, while simultaneously absolving the state of any responsibility of such violence. But for me, as a Bangladeshi European Union citizen, it was the prejudicial reversion to type, that I expected of my fellow continentals. My first encounter with this dark European reality was as a law school undergraduate, in the late 1990s I attended a seminar titled ‘Muslims and Human Rights’. The seminar was delivered by an English barrister, himself a convert to Islam. He opened his speech with the statement, “… as far as Muslims are concerned in Europe, they have no Human Rights”, he then proceeded to relate an anecdote to a stunned audience to illustrate his point. He was invited to the annual dinner of an European association of Muslim lawyers. Amongst the dignitaries were sitting judges of the European Court of Justice (ECJ) and European Court of Human Rights (ECHR). The dinner was hosted soon after the the ECHR upheld the Turkish government’s ban on headscarves in universities so some of the lawyers approached the ECHR judges to justify their reasoning. One of the judges answered that, ‘we will not tolerate in the school rooms of Europe a religion which asks its women to cover up and cuts the hands of thieves’. Alas, two decades on, things have not progressed all that much for immigrants in Europe and for Muslims in particular if we note the minaret bans, face veil bans and head scarf bans, as well as the increasing frequency and ferocity of attacks on Muslims. This current prejudice is illustrated by the European Union’s refusal to allow majority Muslim, but deeply secular, Turkey to become a member, despite negotiations dating back from 1959. In this light, it was not surprising to see a rendition of the anti-immigrant Muslim bogeyman being replayed in the European Union parliament’s make believe resolution of madrassah students burning the homes of Hindu families in Bangladesh. Picture 4 (http://imgur.com/dY6ZF) CAPTION A British merchant being carried by a Sikkimese lady on her back. West Bengal circa 1903. This European position was also mirrored by the pronouncements and activities of the British High Commissioner, Robert Gibson. In a meeting a few days after the election, he squarely laid the blame of political violence on the door of the opposition leader Khaleda Zia, laying a false equivalence and conveniently forgetting her virtual house arrest and the disproportionate use of force by security services. 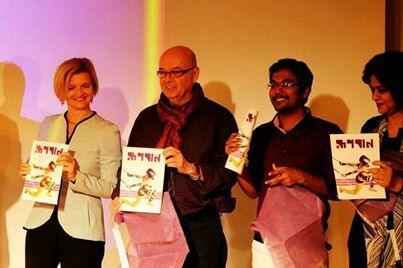 Around about the same time as the dead bodies of political activists were appearing all over the countryside in Bangladesh, Robert Gibson was providing progressive window dressing to the Bangladeshi government, he was proudly launching an LGBT magazine in Dhaka. Instead of addressing the pressing human rights concern of people being killed for their political beliefs, we find Britain’s ‘our man in Dhaka’, providing a smoke screen and legitimacy to the current, questionably elected Awami League regime. Thus following in the footsteps of his 19th century colonial predecessor’s discourse for justifying oppression, the British High Commissioner has taken mission civilisatrice to new levels, where higher races have a duty to civilize the inferior races. Perhaps it would have been more fitting for Gibson to have a recited Kipling’s White Man’s Burden to his captive audience. As Professor Mahmood Mamdani of Makarere University puts it , ‘power can instrumentalise free speech (and human rights) to frame a minority and present it for target practice’. In the Alice Through The Looking Glass world of Bangladeshi politics, the minority is the powerless and vote less majority. In times of adversity new alliances are formed and experiences are shared. Both in Europe and in Bangladesh in the face of overwhelming odds, bigotry, the shared injustices suffered are compelling communities and political factions to come together to fight a common enemy. For example in Europe, rising prejudices have brought Muslims and Jewish communities together, from fighting bans on kosher and halal meat at a European level, to joining forces to protect each other’s places of worship as in Stamford Hill, North London. The same can be seen emerging in Bangladesh, where secular nationalists, religious conservatives and political Islamists, are beginning to work together to combat the increasing autocracy of the Awami League government. One also see’s the shining example of the LGBT and development activist Shawn Ahmed, who in the aftermath of the 6th of May massacre of the Hefazot protesters, courageously ventured out and interviewed survivors of the massacre at a Dhaka hospital. This act of bravery has opened new avenues of discourse and has earned him respect from religious conservatives. 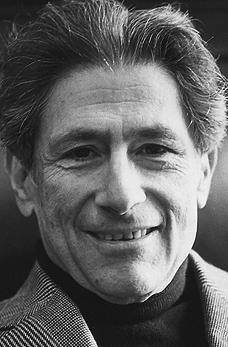 I remember an interview with the Palestinian public intellectual and literary theorist Edward Said in which he said that one had to distinguish between liberal rhetoric and liberal reality. He cited the examples of Alexis De Tocqueville and John Stuart Mill. Tocqueville lamented the plight of the Cherokees in his Democracy in America, but was a staunch supporter of the brutal French colonisation in Algeria. Mill advocated equal rights for women in the United Kingdom, but supported the Imperial British subjugation of the Indian Subcontinent. The same argument applies in the context of Bangladesh. Bangladeshi activists have to distinguish between the rhetoric and realities of outside powers. Real and enduring reform of the political situation and order will have to result from internal processes not external pressure. The European Parliament resolution is an affirmation of this reality. What has galling for me was not the resolution itself, but the sight of Awami League supporters working with politicians harbouring open and closet anti-immigrant/Islamophobic views, to lobby for the resolution. If white skinned, deeply secular Turks are not accepted as part of the European Project by these politicians what chance do our brown skinned ‘Joy Bangla’ brigade have. To paraphrase Lenin, they were nothing but mere ‘useful idiots’.Or does the incident in the European Parliament illustrate a deeper and more troubling question. Are our irreligious (nastik) Bengali Nationalists and the European Far Right, two sides of the same bigoted, intolerant, Islamophobic coin? খালেদা কি চাইলেই তারেক কিংবা জামাতকে ছাড়তে পারবেন? Posted on January 13, 2014 by aniksays	in BNP and tagged BNP, Featured, khaleda, Slider, tarique. অনেকেই খালেদাকে বিগত বছরগুলোতে বলেছেন এই ব্যাগেজ গুলোর কোন না কোনটা হাত থেকে সরানোর জন্যে। পৃথিবীর যে কোন বস্তুর মতো, এই ব্যাগেজ গুলোরও উপকারিতা ও অপকারিতা উভয়ই নিশ্চয়ই আছে। সেই আলোচনায় না যেয়ে, ধরে নেয়া যাক যে এই ব্যাগেজ গুলো সরিয়ে দিতে খালেদা জিয়া রাজী হবেন। এখন দেখা যাক সরানোর প্রক্রিয়াটা কি হবে? আরও একটি গুরুত্বপূর্ণ প্রশ্ন আছে, যেটা খুব কম মানুষ করছেন। সরকার নিজে জামাতকে নিষিদ্ধ না করে, কেন খালেদা জিয়াকে জামাত ছাড়তে বলছেন? সরকার নিষিদ্ধ করে দিলে তো আর খালেদা জিয়ার জামাত ছাড়া না ছাড়ার ব্যাপার থাকে না ! !